Nowadays, science is rapidly emerging and making space in our lives, with almost every area equipped with technology. One of the popularly appearing technical aspects includes the execution of Science Digital Labs in various institutions. These are the labs which are especially utilised in the arena of healthcare and education, acting as a strong pillar for the betterment and comfort of people. However, a change being witnessed is the arrival of several significant trends. Every other day, new software are coming in the market, thus making the use of these labs more efficient and effective. “Some of the software in lab management like Electronic Laboratory Notebook (ELN) and Laboratory Information Management Systems (LIMS) are being offered in Lab Informatics area, but no significant presence of paperless lab can be seen in other sectors,” says Dr Sraban Mukherjee, Director, Krishna Institute of Engineering and Technology. Thus, it is understood that these labs are on their way to reach several different domains. An Electronic Lab Notebook (also known as electronic laboratory notebook or ELN) is a computer programme, which is designed in a manner to replace paper laboratory notebooks. Generally, these lab notebooks come in use by the people working in the field of engineering, science and other technical spheres. The various activities include research, experiments performed in the laboratory among others. These notebooks are an essential part of the fairly growing new technology and provide a number of benefits to the user as well as the organisations using it. For instance, the research process is quite easy on these Electronic Lab Notebooks and copying the data and restoring backup takes few minutes. Further, the device supports collaboration amongst many users, and is safer than its paper counterparts. It also helps directly incorporate the data from other instruments. LabArchives, the developers of the innovative web-based Electronic Laboratory Notebook (ELN), have entered into an agreement with Internet2, (a not for profit computer networking consortium in the United States of America.) The step has been taken in order to profit universities providing higher education. There are two editions for the same: one is the Professional Edition and the other is the Classroom Edition. Both the editions are available to the universities which hold a membership under the unique site license service packages. In this edition, any lead engineer or scientist in a particular project can easily include the ELN into their lab workflow. It will provide an authority to the researchers to create, store, share and manage their research data easily, along with controlling the intellectual property. Further, it will enhance the efficiency and productivity of the research staff. In addition to it, it will manage the progress of the lab team to provide timely feedback and catch the mistakes much earlier, also enabling 24/7 real-time feedback and cooperation. The security of lab’s intellectual property is assured too. Above all, it is an easy to set up lab and readily manageable to use. It is easy for teachers to provide their students with a structured lab notebook, which is accessible on Windows operating system and other devices like Android, iPad and Mac with the help of a familiar and intuitive user interface. This will mainly help teachers and their colleagues for acknowledging the ability of their students. The good thing is that it can happen anywhere, at anytime, and will provide quick and constructive feedback, and teachers don’t need to carry the stacks of paper notebooks at home to grade. Even in the classroom edition, a 24/7 real-time feedback and collaboration is enabled via this device. Apart from that, it is easy to detect students’ misconceptions and give them a fair chance to enhance their performance. The frequent use of these Electronic Notebooks reduces the overall costs and saves paper too. As the time passes, the students’ success rates will also improve. Even the students, after witnessing such a device prefer the Electronic Notebook over paper. The latest trend in education will be how to use cloud computing in digital management. In future, scientists will simply conduct their research while an automated tracking system simultaneously keeps the record. Bar-coding will record samples and the instruments used, providing context to the data for the analysis. The research would be simple since the fully automated system won’t require any hand-operated data entry. Such a process will assure transparency for keeping the records so that the other researchers are also able to use the device. 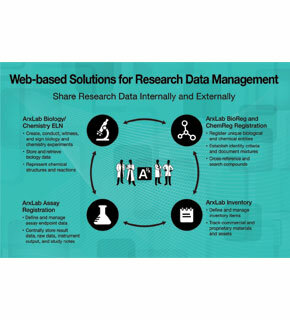 After ELN, the other software is Laboratory Information Management System (LIMS), which is defined as a laboratory and information management system based on software. The software comprises a set of essential features which strengthens the modern laboratory’s operations. These fundamental features include data tracking support, flexible architecture, and smart data exchange interfaces. The other names for LIMS are Laboratory Information System (LIS) or Laboratory Management System (LMS). 1. Efficiency- One can enter the data only once, and can restore it quickly. It will also help generate quick reports and send them to the clients on time. Another trend one can witness is that it is capable of generating invoices and tracks the access of archived data. 2. Productivity- It schedules routine tasks, and spends time effectively. 3. Accuracy- The system reduces the scope for errors as manual data entry is limited to some specific characteristics. Also, the validation protocol gives authority to the technicians to catch the data input errors before they are entered. With the presence of automated scheduling prompts, it avoids missed deadlines, and helps escaping the embarrassments of false results.